Looking for an alternative to Tuscany? 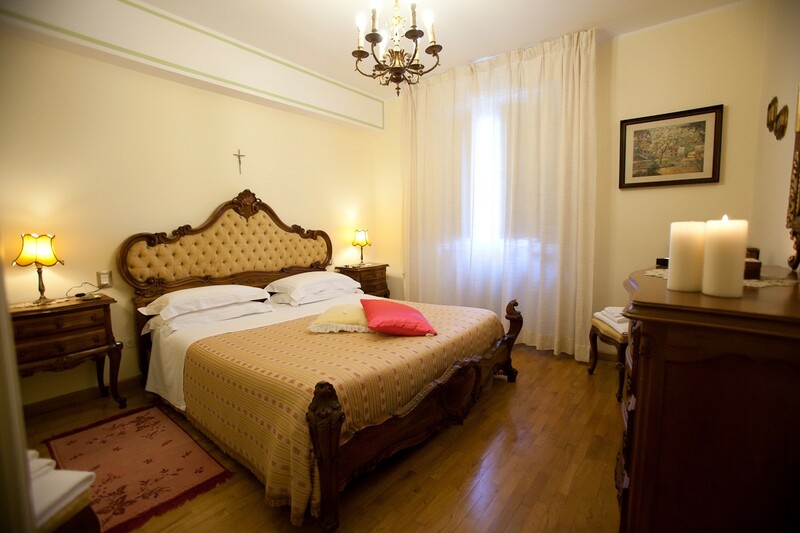 Here we share with you 5 things to do in Perugia, the main city in the stunning Umbria region, including where to stay in Perugia! 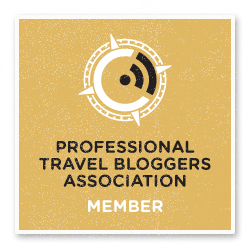 Umbria is a very important place for us… are you curious to know why? Read on! Whenever friends and readers ask me advice on not-to-be-missed places in Italy, I always recommend Umbria. The teardrop-shaped region sandwiched between Tuscany and Le Marche is a real-life Italian dream – where villages overlook landscapes of vineyards and cypress-covered hills, diners toast on homemade wine and feast on local food sitting at alfresco restaurants and (yes, I’m not kidding) sometimes old-style Fiat 500 are the only way to get around the twisty village backstreets. To make matters even better, Umbria is still largely undiscovered. I mean, tourists do visit, but you’ll find far fewer than in Tuscany or Le Marche. Most Umbria visitors are Italian tourists, such as my family and myself. I have spent over 25 years touring Umbria from top to bottom, after my parents fell in love with it during their honeymoon. When it was time for Nick and I to get married, we chose Umbria, and tied the knot in Castiglione del Lago, in a castle (which just happened to be the registry office) overlooking Lake Trasimeno. 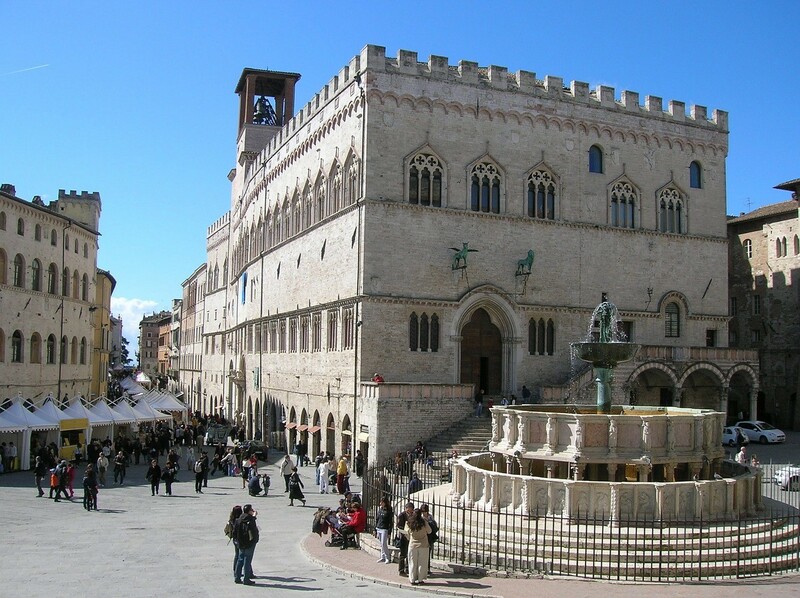 Perugia is the capital of the Umbria region. When I say ‘capital’, I’m not talking about a huge expanse of concrete and traffic-congested streets. 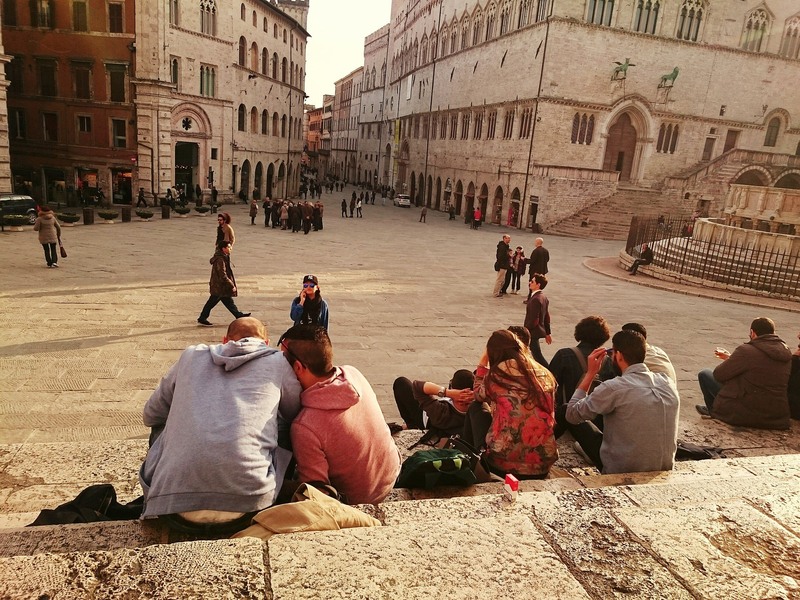 Perugia is a pleasant little town, with a car-free historic centre perfect for aimless strolling, a lively student population and amazing events – such as Eurochocolate, a chocolate festival held every October. Perugia is worth a visit for a week or longer, as the city it makes an excellent base to explore the region further. 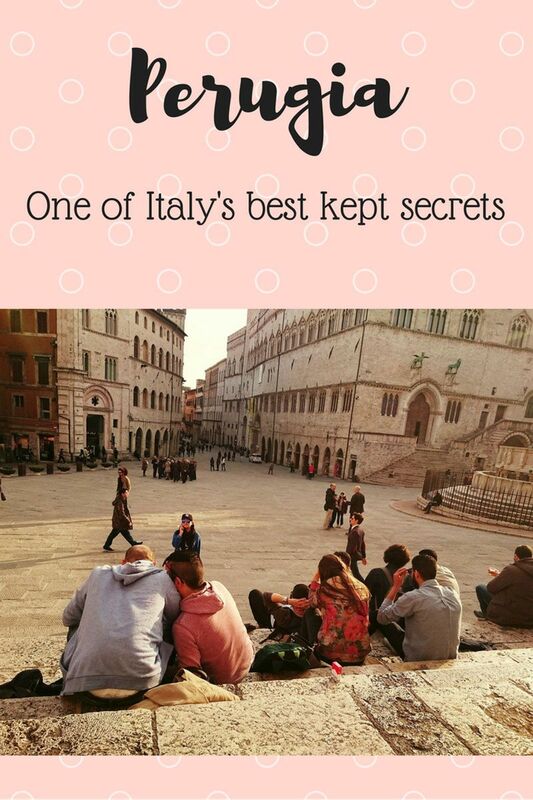 Here are 5 things to do in Perugia, perfect for a stay in all seasons! If you’re visiting in May, make sure you save some time to visit Gubbio for the Festa dei Ceri, a crazy local festival! 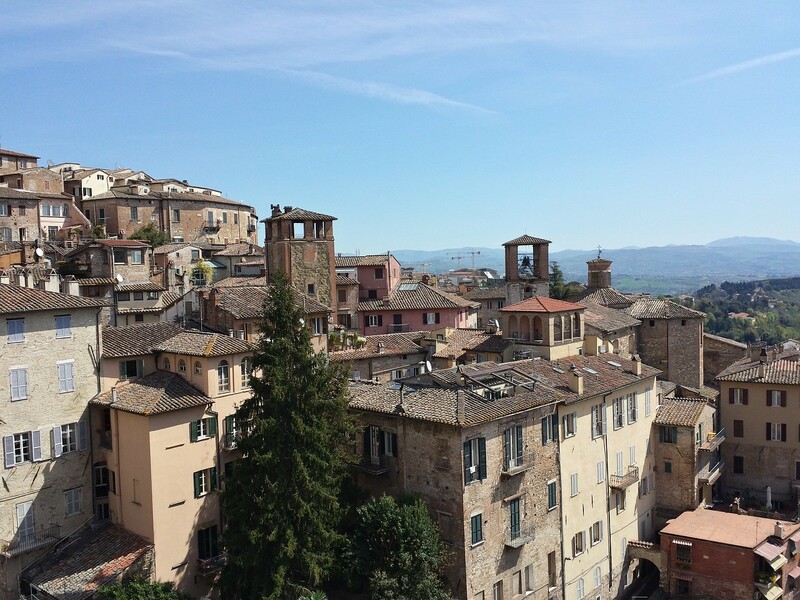 If you reached Perugia by car, leave your vehicle and hop on the MiniMetro to the historic centre, a maze of backstreets crawling up the hillside. Begin your city exploration in Piazza IV Novembre, a typical Italian piazza surrounded by the Cathedral and other 13th century buildings. The centrepiece of the square is beautiful Fontana Maggiore, finely carved in white and pink stone. Just behind the fountain you’ll find San Lorenzo Cathedral – curiously, the façade was left unfinished, with only a small section overlooking the fountain covered in the same white and pink stone. Inside the cathedral you’ll also find a fresco by one of Perugia’s most illustrious sons, Raphael. On the southern side of the square there are two interesting buildings, the Palazzo dei Priori and Collegio del Cambio, both including rooms covered with frescos. Palazzo dei Priori also has a stunning carved doorway leading towards Corso Vannucci, the historic centre’s main drag, perfect for a drink and people-watching. 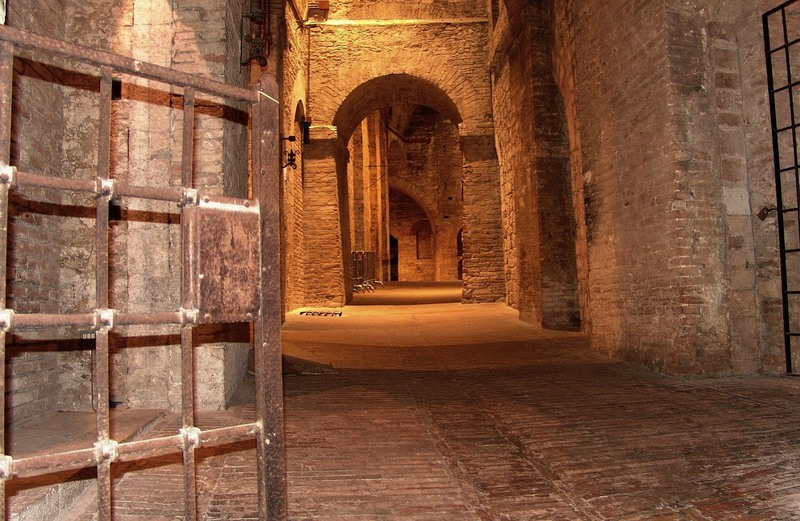 If you’re visiting in summer and the heat is too much, head underground to explore the underbelly of Perugia. Just off Piazza IV Novembre you can peek down the Pozzo Etrusco, a seemingly-endless well dating back to Etruscan times, and then make your way to the Rocca Paolina Fortress, where it’s possible to join a tour of a medieval network of streets and squares that spread like a web under the ‘real’ city above. If you’re a chocaholic, try not to miss Eurochocolate in October – but if you are visiting at any other time, you can still get your chocolate fix with a guided visit of Perugina, manufacturer of the famous hazelnut-filled Baci. The tour includes a visit of the test kitchen and production floor, where the cute silver-wrapped chocolates zip past you on conveyor belts. Resist the temptation to grab one though, as at the end of the tour you’ll be treated to an all-you-can-eat chocolate tasting. 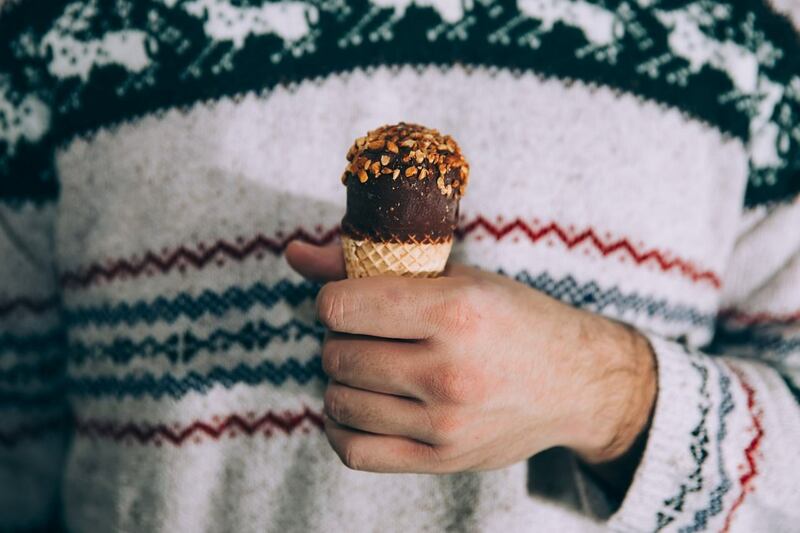 You can also enjoy some of Perugia’s famous chocolate specialties at Pasticceria Sandri, or try chocolate (or any other flavor) gelato at Cioccolateria Augusta Perusia. 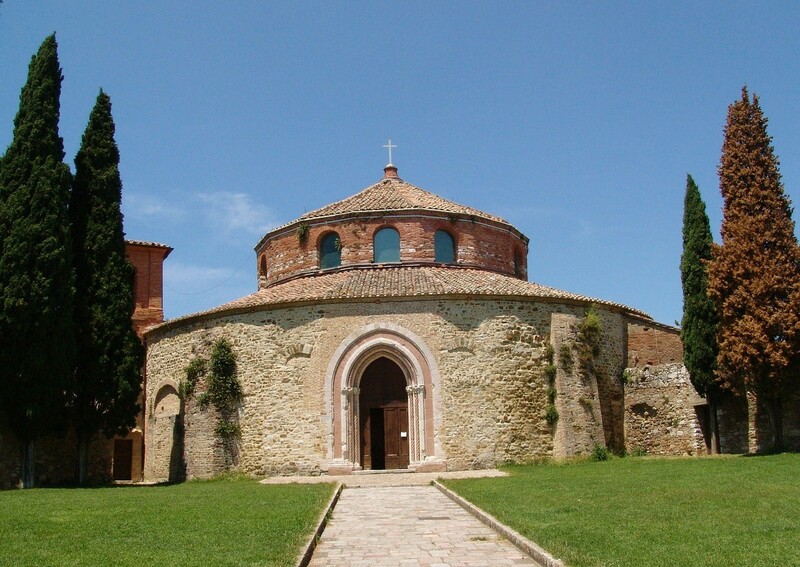 Lovers of mysterious places have a really cool sight to check out in Perugia – Tempio di Sant’Arcangelo, a round church first built between the 5th and 6th century BC and probably used by the Templar knights. The church contains Corinthian columns from an earlier pagan temple, and if you look closely you can find many obscure symbols, including Templar crosses and a pentagram. Perhaps I’m biased because Nick and I took our first photos as a married couple with Lake Trasimeno in the background, but I really think you shouldn’t miss it! From Perugia, you can drive to Castiglione del Lago in under an hour. Castiglione used to be on an island, but it’s now a promontory, due to the decreasing levels of the lake waters throughout history. 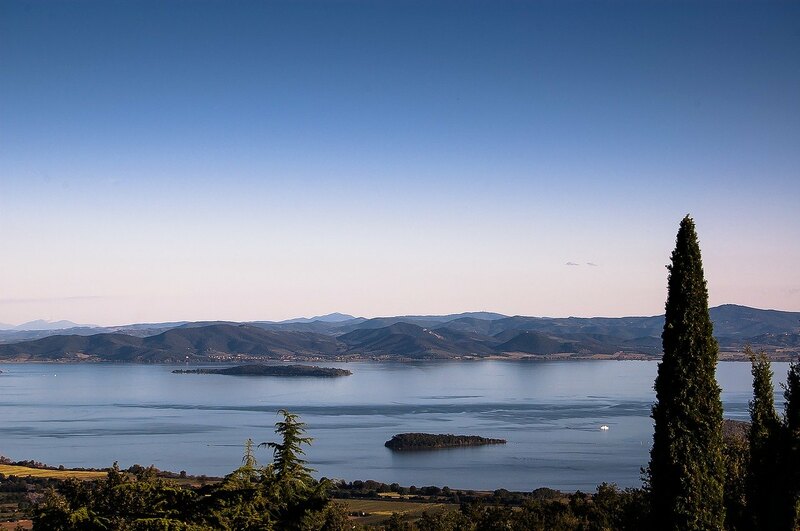 For a closer exploration of Lake Trasimeno you can take a cruise from Tuoro or Passignano or visit one of the three islands – my personal favourite is the largest, Isola Polvese, where the time seems to have stopped among the reeds waving in the wind. 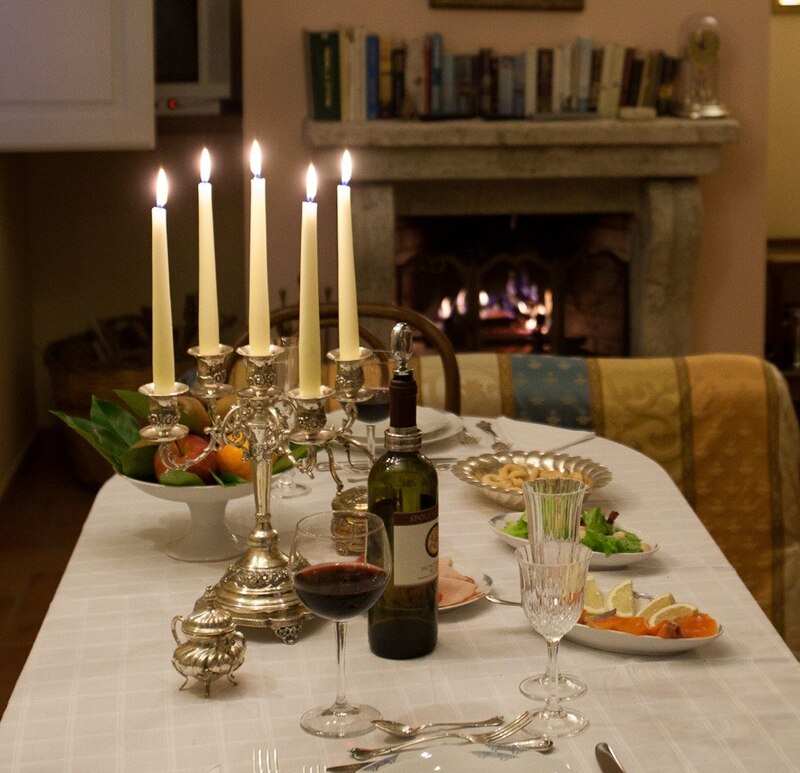 Sampling delicious Umbrian food is reason enough to visit Perugia. Assuming you’ll be in Perugia for a few days, I’d like to recommend a few places offering very different culinary experiences. Let’s start with street food – Cukuc and Da Faliero are two great choices to sample torta al testo, a flatbread cooked on a griddle (named ‘testo’) dating back to Etruscan times, stuffed with local cheese and/or cured meats. My favorite is ciauscolo, herb-flavoured soft salami. If you don’t mind spending a little extra, La Taverna offers excellent traditional cuisine with a modern twist, alongside an extensive wine list. Bread, pasta and desserts are always homemade – specialties include pappardelle and chitarrini, two kinds of fresh pasta, and pretty much anything with truffle. La Taverna is a rather smart restaurant – if you prefer something more informal you can opt for Il Cantinone, located in a medieval building with lovely vaulted ceilings. The cheesecake and tagliatelle with rabbit ragu come highly recommended. 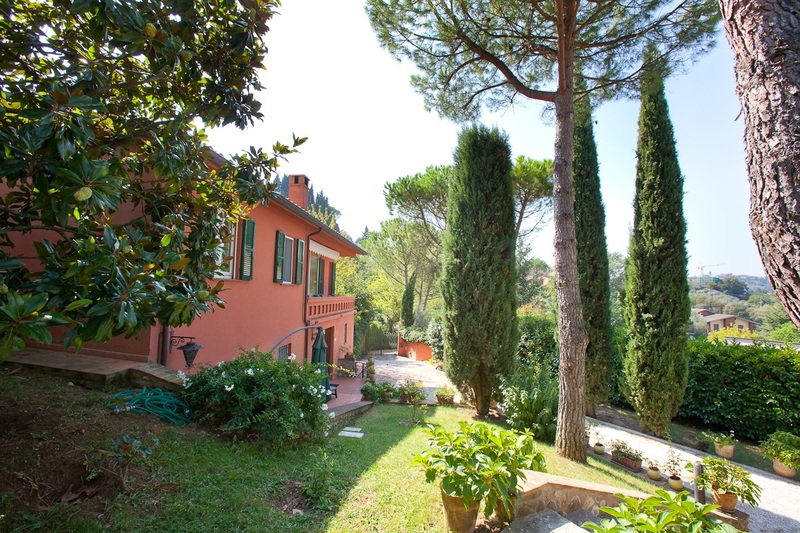 Perugia is one of those places where the countryside begins on the doorstep of cities – meaning that you can enjoy a relaxing stay surrounded by nature, and take a short walk to the city whenever you feel like a bit of urban life. 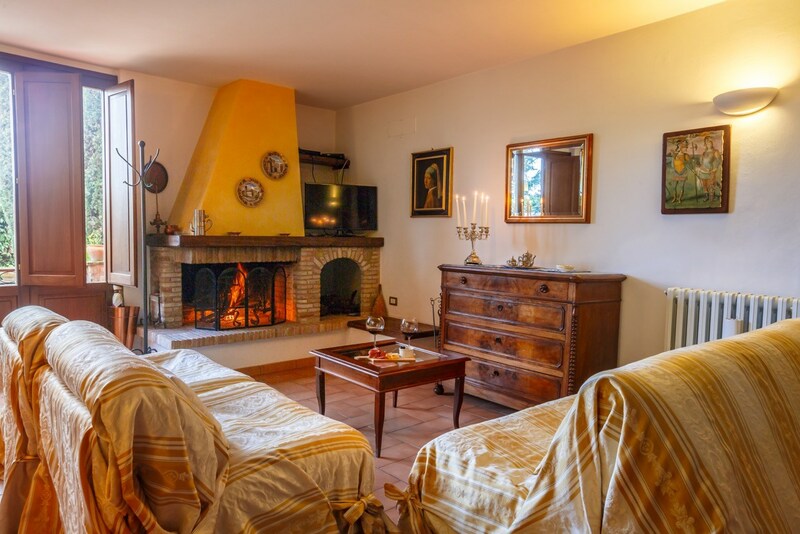 Villa Nuba Charming Villa Apartments is one of the best places in Perugia to enjoy this kind of atmosphere – a historic Umbrian villa offering long or short term apartment stays, perfect for groups of friends, families or for a romantic break. The villa is also proud to be family friendly and welcomes pets. There are three different apartments, one of which even boasts a private SPA. There is a jacuzzi bath in every apartment, a fully equipped kitchen with all kinds of utensils, as well as a fireplace in the living room, perfect for a romantic dinner when it’s a little chilly outside. In summertime, the villa offers an eco-swimming pool with saltwater and colourful lights at night for whoever fancies a midnight dip. There is also a herbs garden, barbecue area, and a safe playground for the youngest visitors. 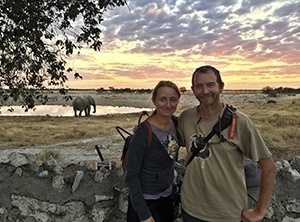 The friendly owner Giuseppe lives onsite and is always happy to help his guests have a truly ‘local’ experience! 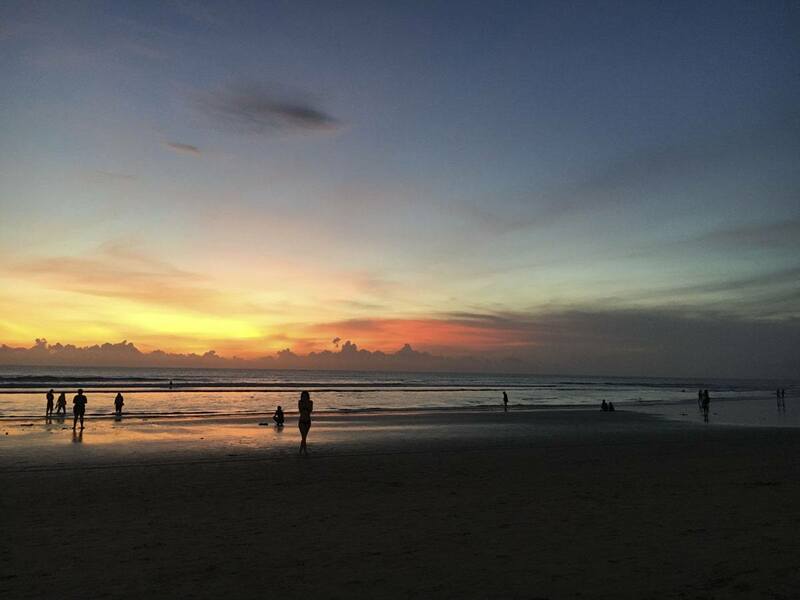 Looks like an amazing place! I spent a summer in Siena, but never made it into Umbria. Looks like I have another reason to head back to beautiful Italy 🙂 Thanks for the recommendations!